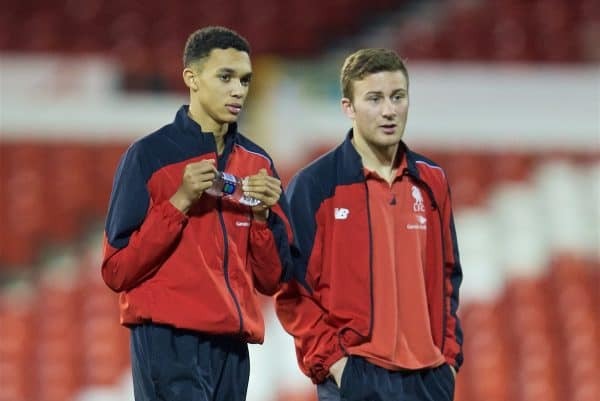 Liverpool midfielder Herbie Kane has been on loan at Doncaster Rovers and has made a big impact at the Keepmoat Stadium. The League One side have been overjoyed with the 20-year-old, he’s scored seven times and assisted nine goals in 41 appearances this season. Throughout Kane’s stay at Doncaster he’s struggled with a groin injury and it’s now believed a separate issue will see him miss the rest of the season. Speaking after Rovers’ game this weekend, manager Grant McCann explained that he has injured a different part of his groin. “He’s got a 10cm tear in his groin,” he told the Doncaster Free Press. Their last game of the season comes in the first week of May, almost exactly six weeks from now, so it’s expected that Kane will sit out the rest of the campaign. It’s been an awful couple of months for Doncaster; they’ve played well but following an eight game lull, it now appears they’ll struggle to get themselves in a more positive place. Rovers fans have reacted to the Liverpool man’s injury on Twitter and it really shows just how highly regarded the rising star is. That’s it then playoffs have gone and we will finish midtable. Our strikers and defenders will look poor with a bang average midfield. We need to find plan C very quickly. They are a huge loss. neither will feature much before the end of the season as fully fit players. It really is heart-warming to see how well their fans have taken to Kane. We wish them nothing but the best for the rest of their season.